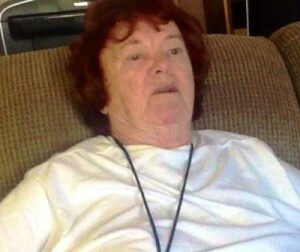 Joan MacKay lived alone in her Oxnard, California home after her husband, Larry Nishida, passed away. With no family nearby, Joan turned to her sister in Canada. Friends tell a story of exploitation by a greedy nephew, an uncaring court system, an unscrupulous fiduciary, and cruel caregivers. Joan’s sister encouraged Joan to leave her sizable estate to nephew Frances Suave, in exchange for Suave’s assistance. Joan offered to give Suave power of attorney to manage her finances. Suave demanded that he become Joan’s conservator. Petitioning the court for conservatorship, Suave exploited Joan’s diagnosis of mild dementia from right after she was widowed. Concerned friends begged Suave to get a second medical opinion. Suave disregarded the wishes of his aunt and her closest friends. Suave raided Joan’s safe deposit box, showing where his true interests lay. Joan was adamant that she did not trust Suave and did not want him as her conservator. The court ignored Joan’s pleas for help and denied Joan’s friends any opportunity to speak on her behalf. The judge appointed Suave as conservator of Joan’s person and estate. Suave promptly closed all of Joan’s bank accounts, leaving her without a penny. Suave hired Patricia Keffer as fiduciary for Joan’s care. Patricia installed her daughter Tiffany as case manager. Tiffany hired her friend Gina as a caregiver. Gina acted as guard more than caregiver. Gina refused to let Joan leave her home and often denied visitors entry into the home. When Joan went for walk in the neighborhood, Gina called the police and reported that Joan was a suicide risk. Police took Joan to a county psychiatric hospital. When Joan wished to visit a neighbor a few weeks later, Gina called the police again. This time, Gina reported that Joan tried to strangle her. Joan was held over the weekend in a psychiatric hospital. Social workers ignored injuries to Joan’s arm, sustained when Gina grabbed her and prevented her from leaving her home. Gina was replaced with even more restrictive and negligent caregivers. They rarely shower Joan or cook meals for her. Joan was allowed fewer visitors and never in private. After Joan’s recent cancer surgery, friends tried to visit her in the hospital. They found a sign on her door that denied all visitors. After Joan returned home, friends tried to hire an attorney to represent her interests. Fiduciary Patricia Keffer retaliated by restricting nearly all visitation. Public Defender Michelle Castillo does not respond to concerns expressed by Joan’s friends. Joan is scheduled for aggressive chemotherapy. Joan’s stage 4 cancer is terminal. Chemotherapy will make her very ill during her last months. Nephew and conservator Frances Suave reappeared after Joan’s surgery. He intimidated her into signing papers that she did not understand. Very few friends are still allowed to visit Joan, and those visits are supervised by caregivers. Joan’s friends fear she will be denied all visitation if they file complaints of elder abuse.